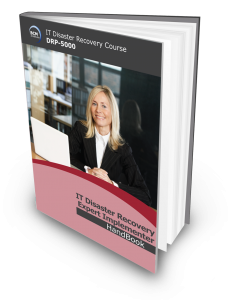 This 4-day course caters to both experienced and novice IT disaster recovery (DR) professionals. It look at the implementation and managing an IT DR plan with considerations given to cybersecurity, cloud and DR aspects of ISO 27001. Participants will be guided to review each stage of the DR Planning (DRP) Methodology, and the process will include all aspects of creating the DR plan. The course concludes with the understanding of the need for exercising and maintaining the DR plan. On the 5th day, participants would be assessed on their understanding of the concepts taught in a 3 1/2 hours online examination. Passing the examination would allow participants to claim for the DRCP or apply for the DRCS or DRCE certification. Conduct cost-benefit analysis for strategies and alternate site selection with consideration to cloud and cybersecurity. The examination fee is included as part of the course fee. This course fee excludes application processing fee for the DRCS or DRCE certification. SGD75 DRCS or SGD150 DRCE Application Certification Fees are to be paid during application after participants have passed their Qualifying DRCE exam. The course fee includes the Qualifying DRCE examination and 1 re-examination attempt fees.